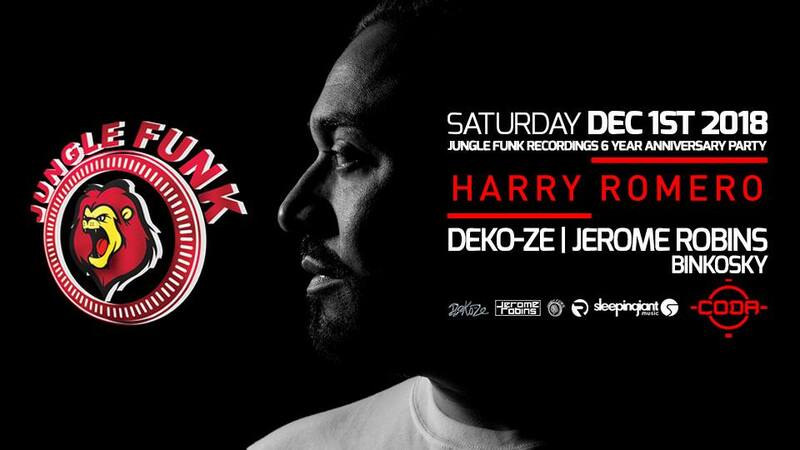 Join Toronto’s Jungle Funk Recordings on December 1, as they celebrate their 6 year anniversary party with American house DJ-Producer Harry Romero. Not to mention, Jungle Funk ambassadors Deko-ze and Jerome Robins will be in house, curating some birthday beats! Brighton’s favourite duo is back on December 7. 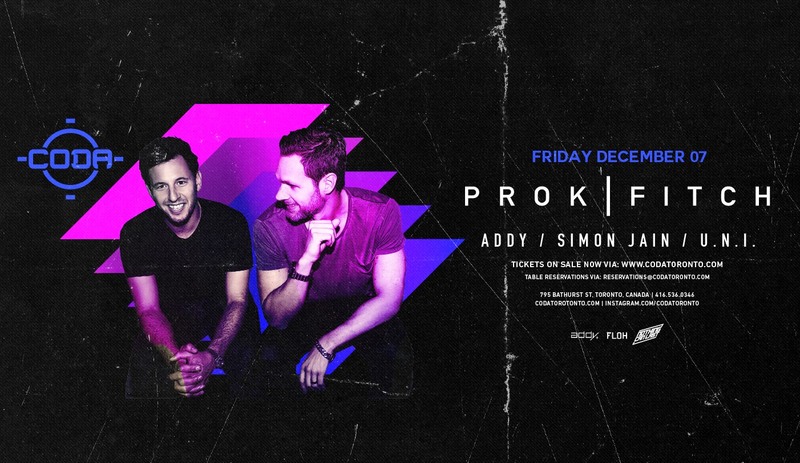 Come experience the infectious house grooves of Prok & Fitch, joined by local favourites ADDY, Simon Jain and U.N.I. This night is for the house heads! Show your local love: ADDY, Simon Jain, U.N.I. Do we really have to convince you? 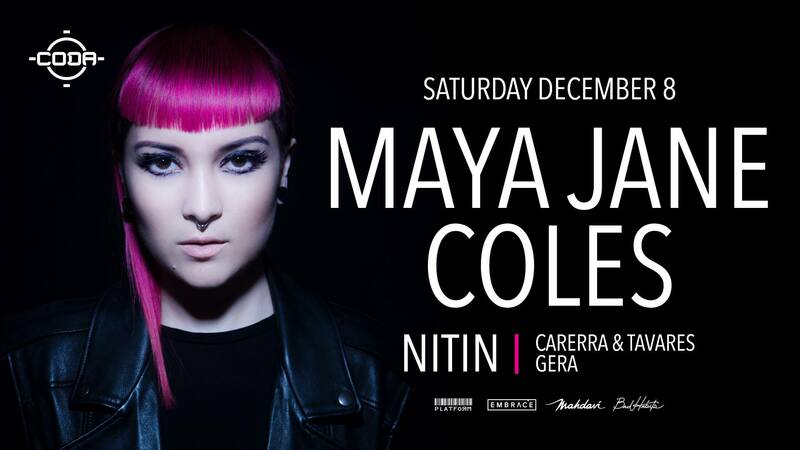 Maya Jane Coles is somewhat of an enigma in today’s music world; on a typical MJC record, Maya will have written, produced, engineered, arranged, mixed and performed every element of the track; sometimes top-lining and, on most occasions, even designing the sleeve artwork too. Come see this all-encompassing artist rule the dance floor on December 8! 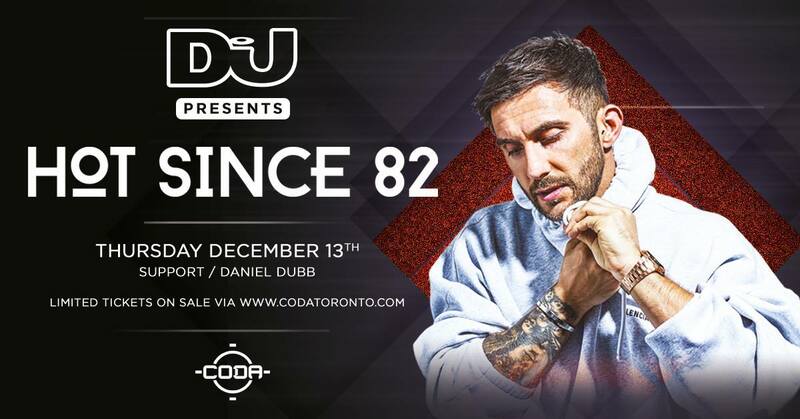 CODA welcomes the iconic DJ Mag into their home on December 13 for a special Thursday party. 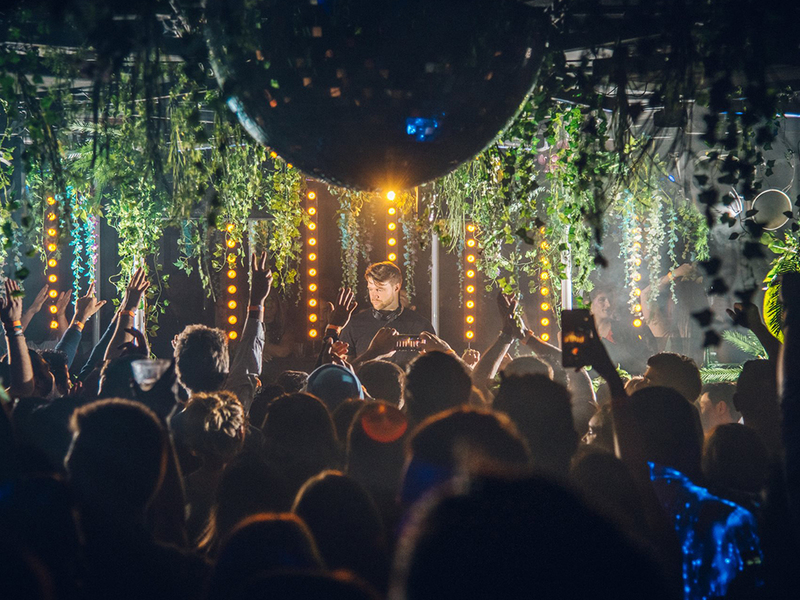 Yorkshire’s Daley Padley, better known as Hot Since 82 will take to the decks. The Knee Deep in Sound label owner is known for throwing down memorable sets – we can bet this evening will be no different! 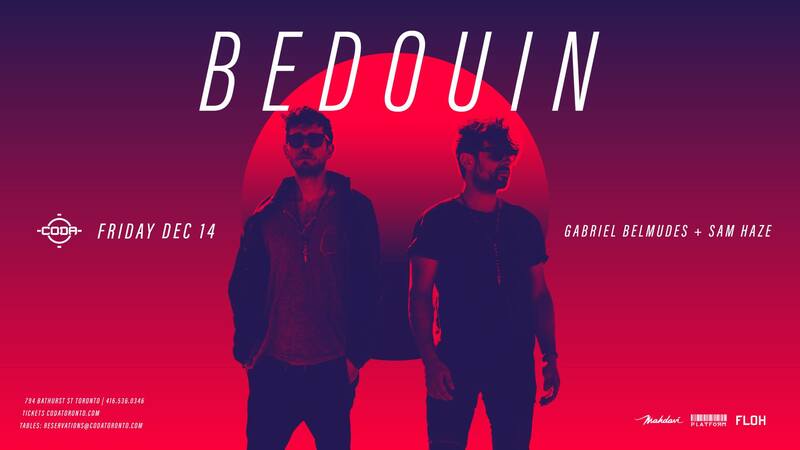 Drawing from their Middle Eastern roots, Bedouin’s lavish melodies and driving rhythms intertwine, hypnotizing all who fall under their spell. On December 14, the duo makes their return to CODA, alongside local artists Gabriel Belmudes and Sam Haze. 15 years is a long time! And that’s how long Toronto’s house music purveyor HouseAddict has been giving you playful moments on the dance floor. 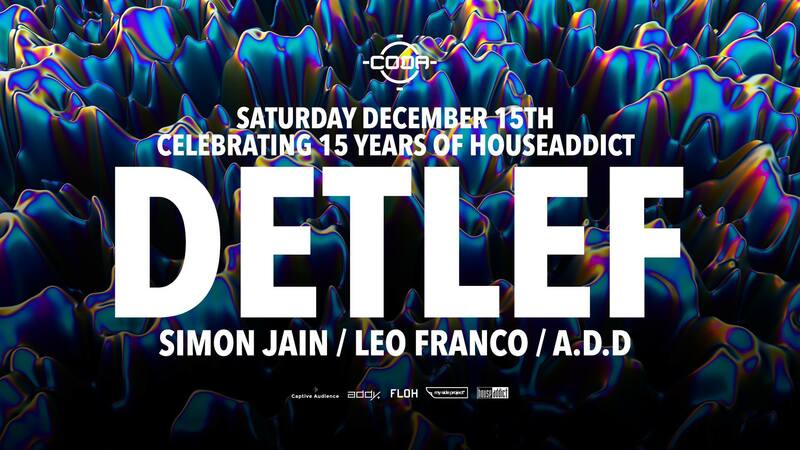 On December 15, they invite Greek artist Detlef to spin their birthday set! 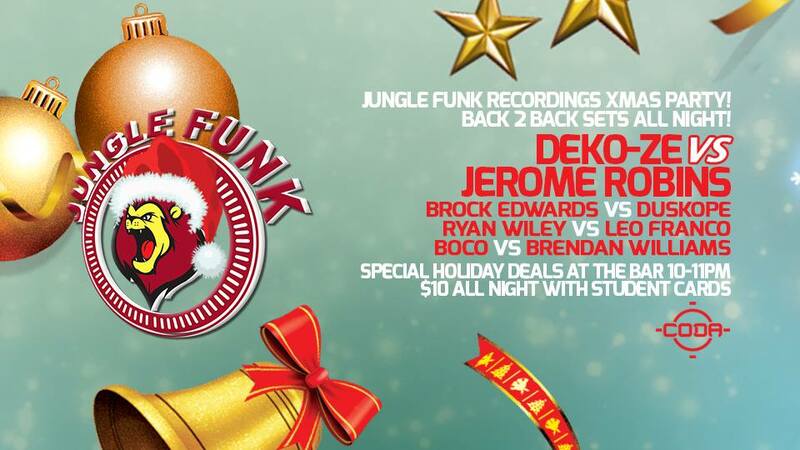 This holiday season, Jungle Funk Recordings celebrates by doing what they do best: a series of b2b2b2b’s that will keep the dance floor packed all night long! Join them for some holiday cheer. 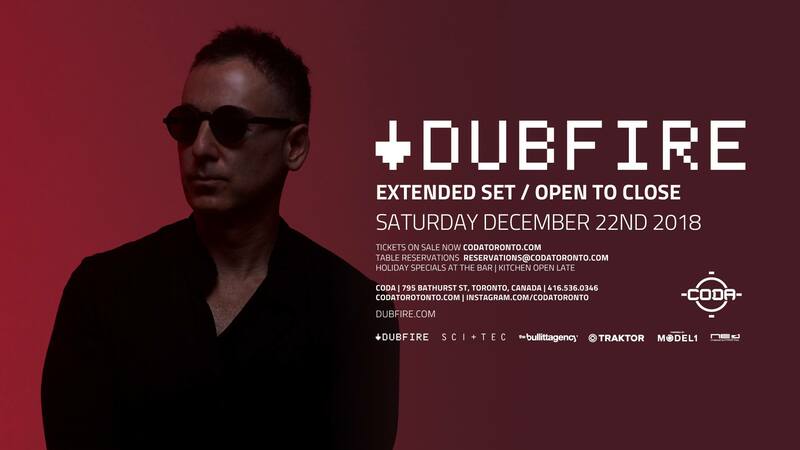 We know where we’ll be at 10PM on December 22: front centre on the dance floor, catching the first sounds of Dubfire’s open-close set! A man who needs little introduction, Dubfire is an artist whose drive, talent and intuition have placed him within the top tier of electronic artists. Constantly evolving, Dubfire is in a forward-thinking class of his own. Tickets available at the door. First come, first serve. 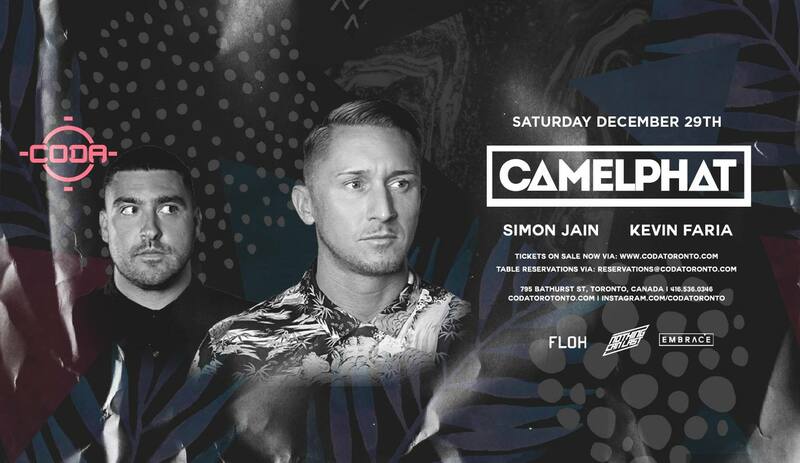 Join CODA for one last dance party before NYE when UK-based duo Camelphat brings their authentic, timeless house music to the club on December 29. When 2019 rolls in, there’s no better place to be than on the dance floor with your beloveds. 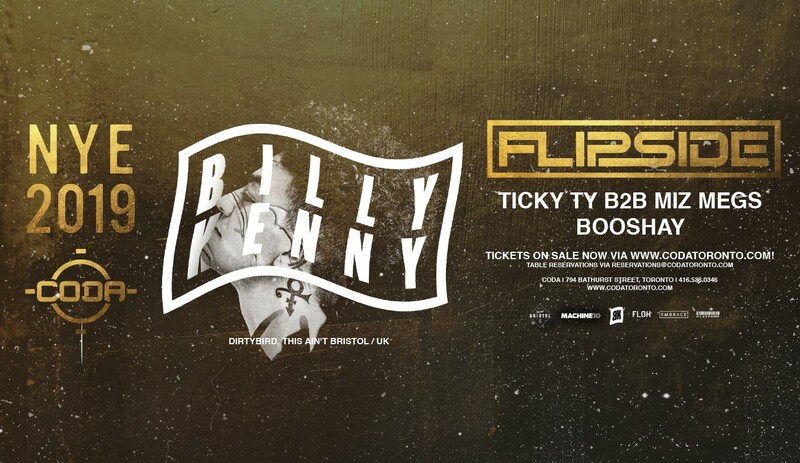 This year’s NYE celebration will feature the UK’s Billy Kenny who will bring his blend of UK Garage, House & Techno to the dance floor. 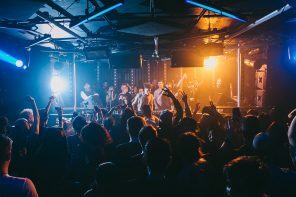 Previous articleThis Month at CODA: Patrick Topping, Victor Calderone, Yotto & more!